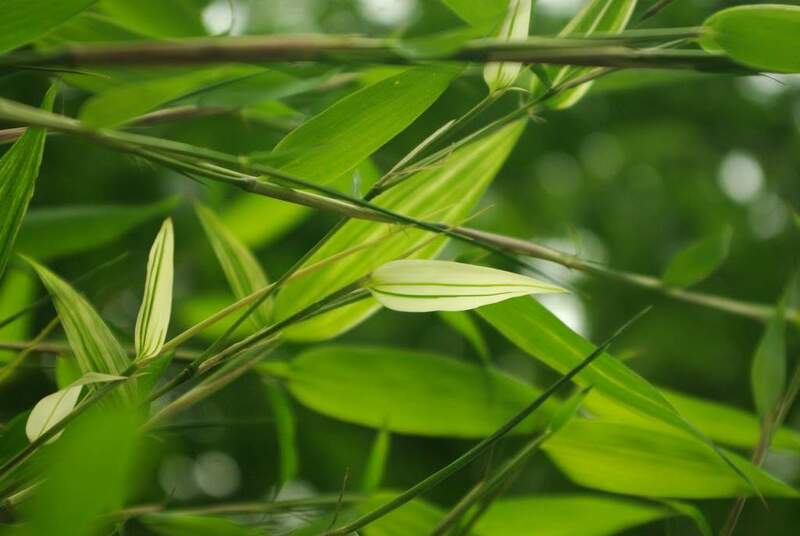 My earliest-shooting tall bamboo (Phyllostachys bissetii) started to leaf out the other day, and something seemed different about some of the leaves. 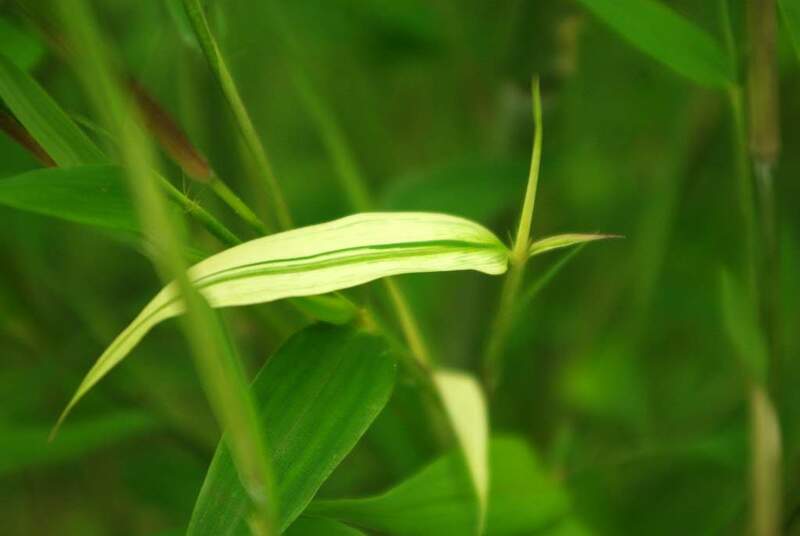 Taking a closer look, one of the culms (canes) was producing leaves that were variegated! This was a bit of a surprise. 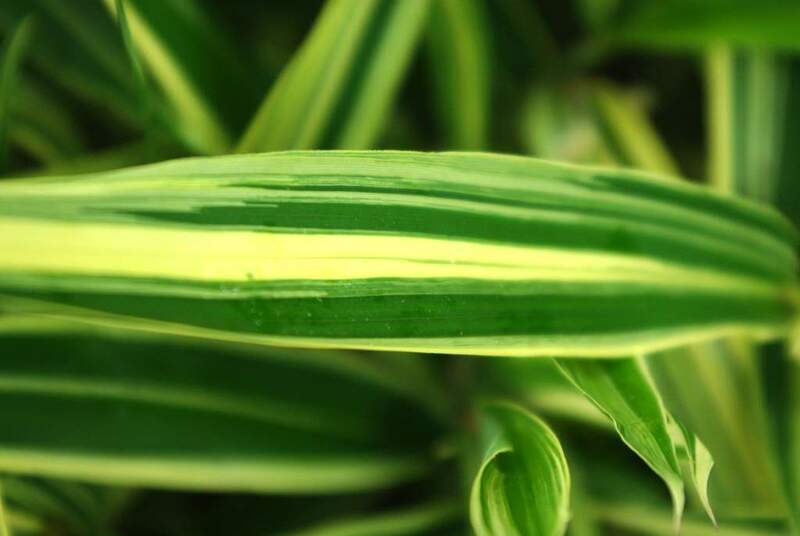 Even though I had another bamboo (completely different species and genus) produce one culm with variegated leaves last year, I certainly didn't expect to see it happen again on another plant! I have no idea if the variegation will last through the summer, or if it will come back next year. 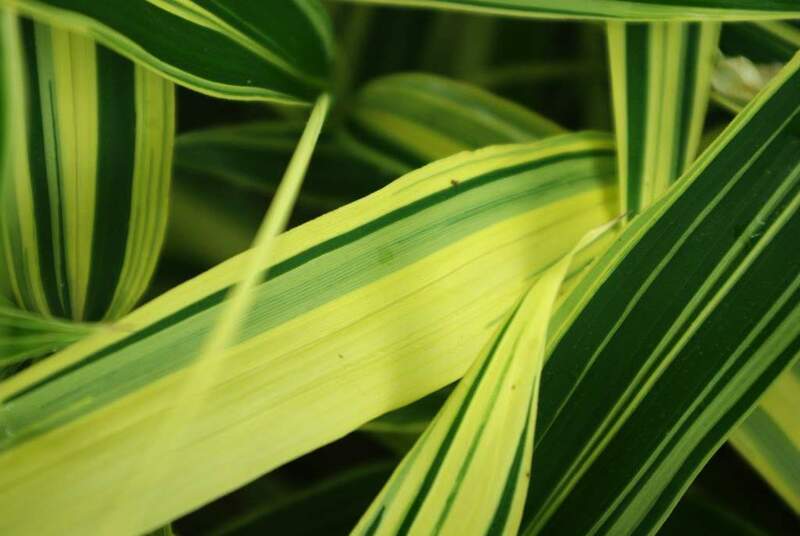 I don't know if this is what the variegation looked like early last year either, as I didn't notice the striping until later in the summer when it was much more pronounced. Perhaps it started mildly like this last year too, which is why I missed it in the spring. With both of these plants I can only wait and see what happens. 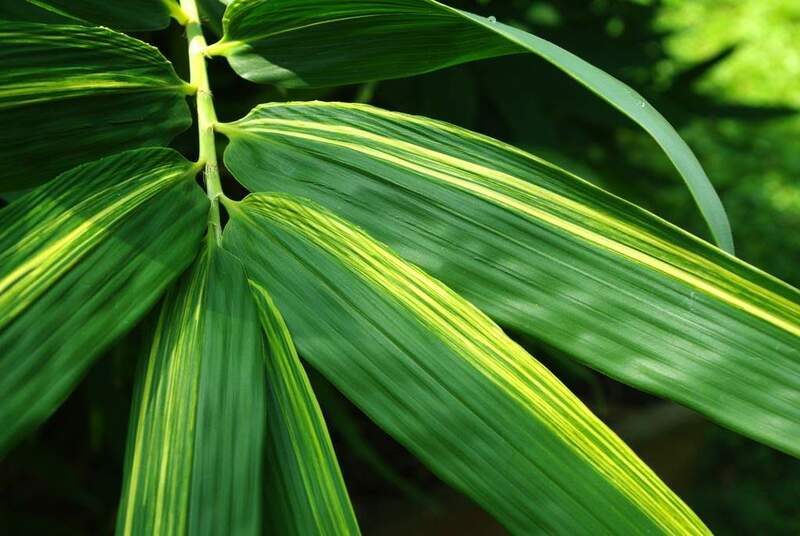 That wonderful creamy color is most prevalent right now (in the spring), but will fade as the summer progresses, resulting in a more green plant. I'll have to monitor some of the more heavily "white" leaves to see how (if?) they change over time. 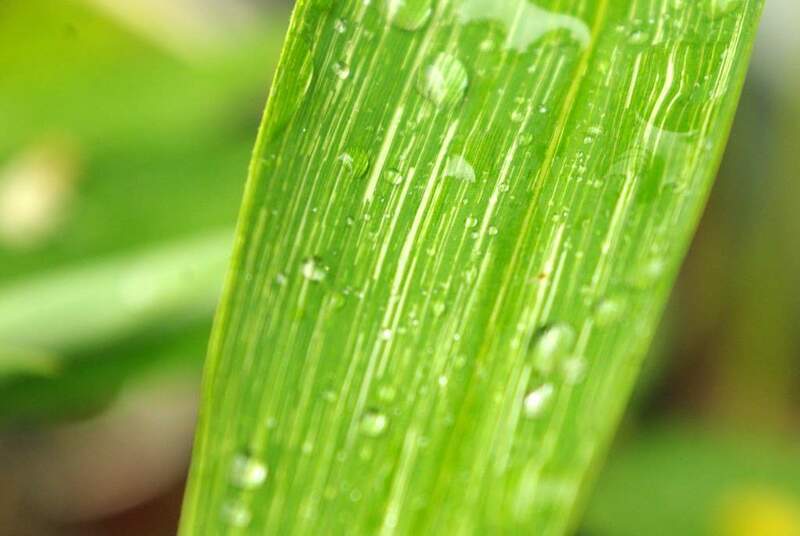 It looks a lot like the 'Albostriata', but with pink tinting on the edges of the culm sheaths and culm blades. 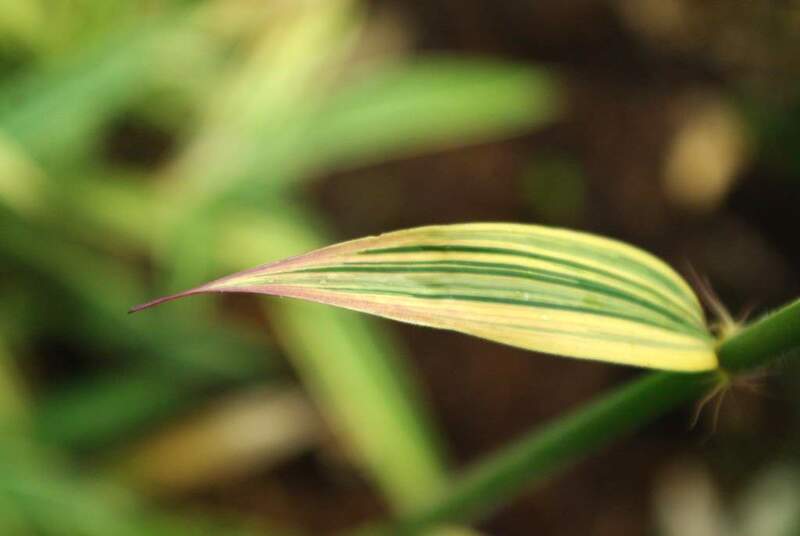 Plus it gets at least 5-6' tall in my climate, and the variegation doesn't fade as much as 'Albostriata', so it really stands out in the garden. 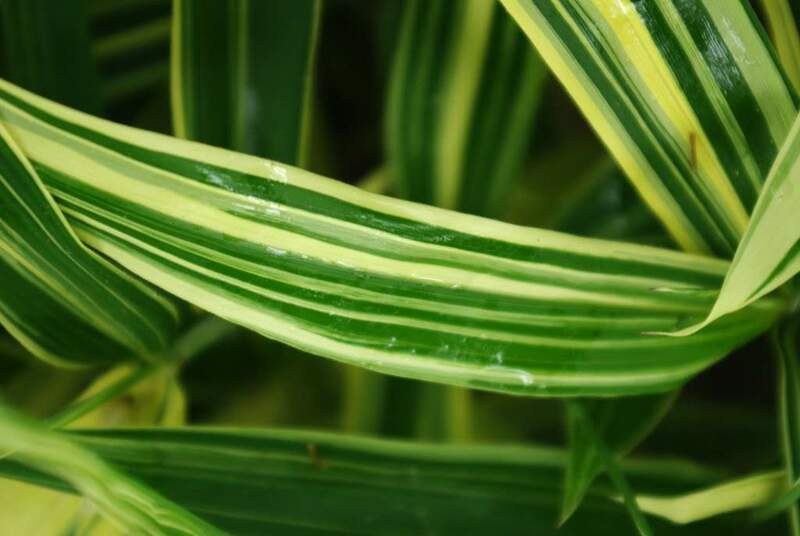 I have a few more variegated bamboos that I didn't remember when taking photos, but even with so many variegated varieties already, I'm excited about the possibility of more. 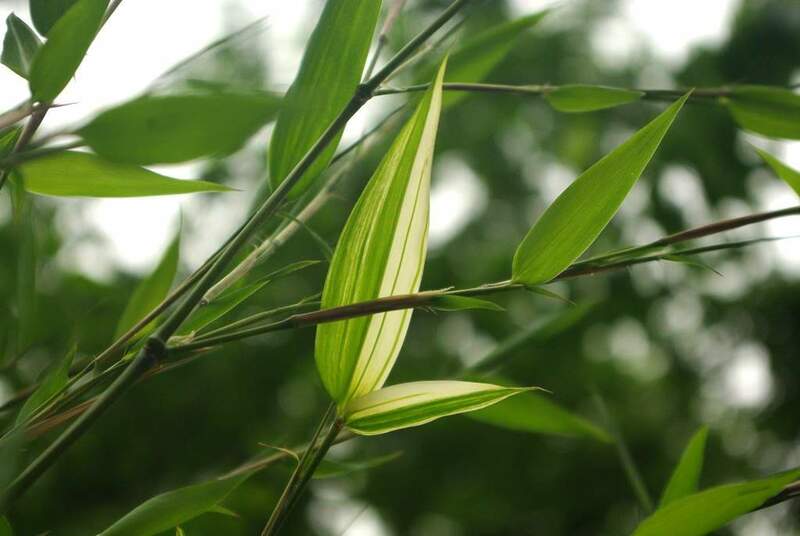 Especially since the bissetii is a medium-sized temperate bamboo -- it should reach at least 20' tall -- and taller bamboos with variegated leaves are quite rare. 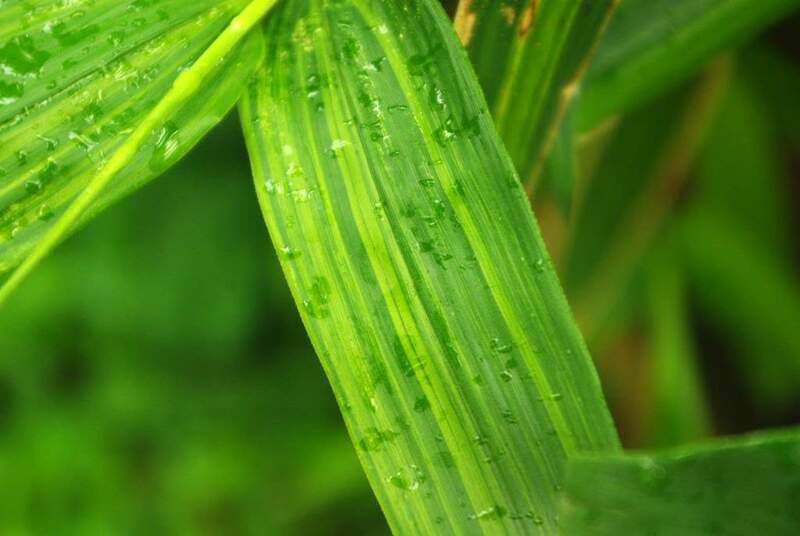 Even if they weren't, I'd still be excited to see this small area of white leaves in an otherwise all-green plant, because it's in my garden! A variegated Bissettii, wouldn't that be something??? Keep us posted on how long it lasts. 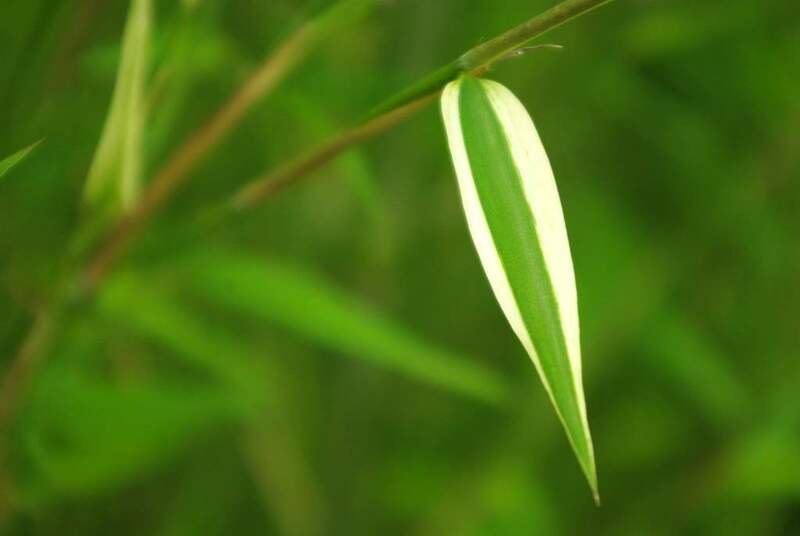 By the way, the small Spectabilis division I got from you has a couple of tiny stripey leaves as well. 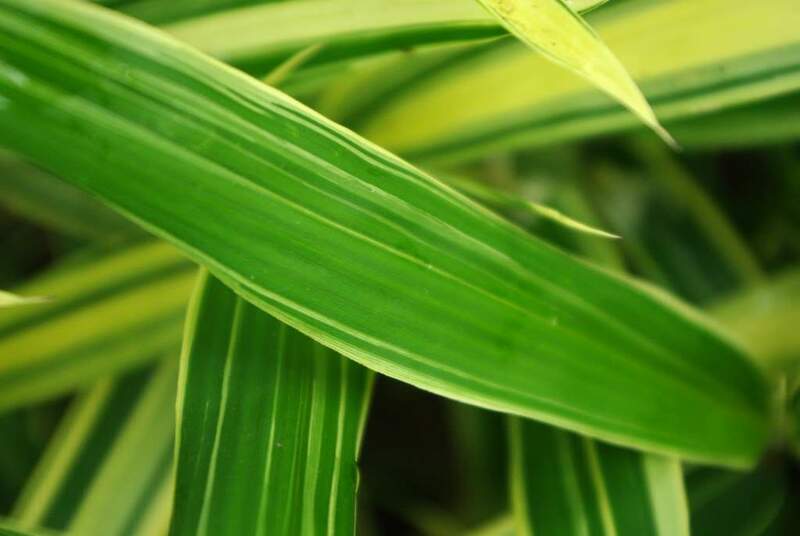 I'm a variegated leaf fan and those photos of all your bamboo variegated leaves are beautiful. 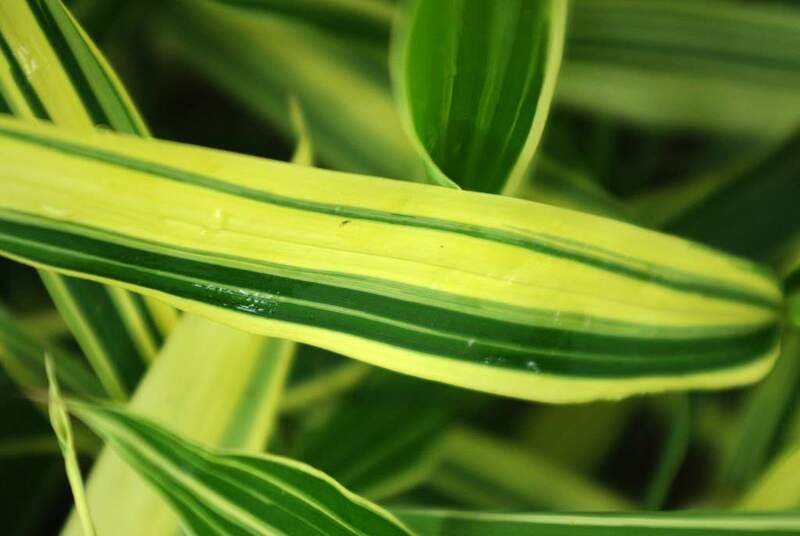 I was thinking that usually it's the other way around - a variegated plant will eventually sprout some all-green foliage (which I cut off to keep it variegated) but finding variegated leaves from a usually green plant? That's a good one. 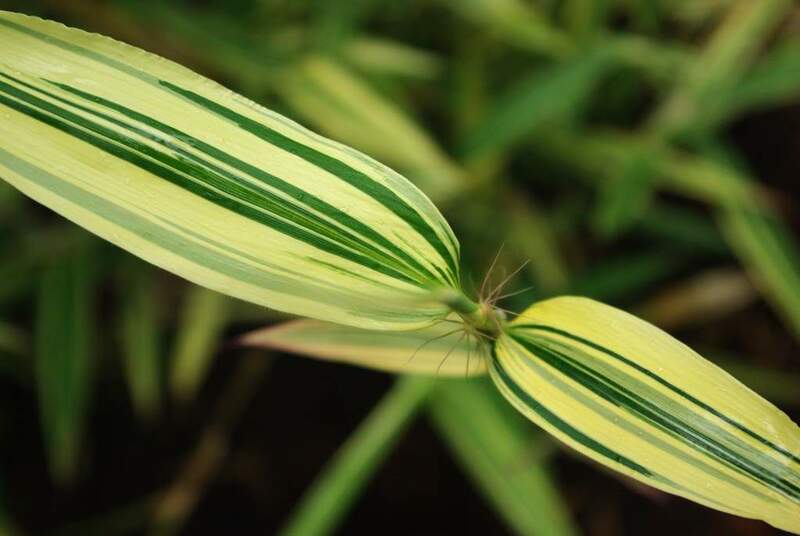 I am the editor of a journal called 'The Sport', which is the magazine of the Variegated Plant Group, a specialist sub-group of The British Hardy Plant Society. 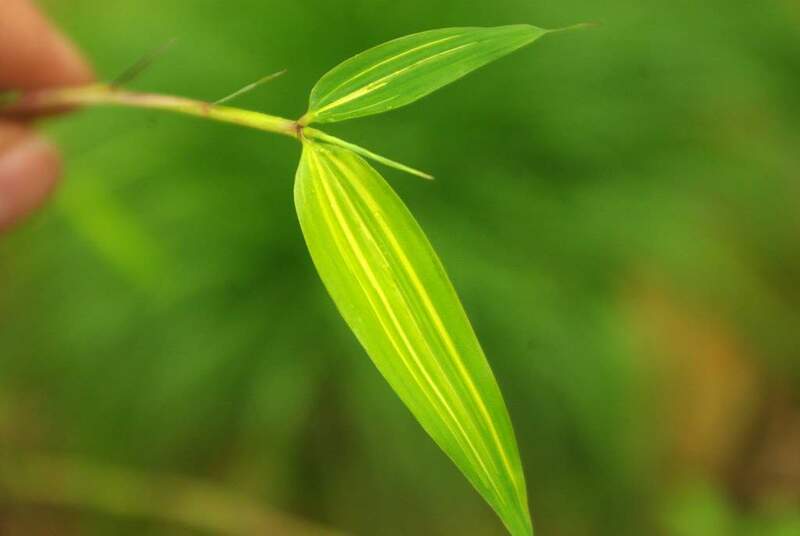 I recently came across this article on variegation in bamboos which made interesting reading, and I wondered whether you would be happy for me to reproduce this article in the next issue of our journal? I would, of course, give you due attribution and mention your website.